Osinbajo stated this on Monday while answering questions from a cross-section of Nigerians at a town hall meeting in Minnesota, the United States of America, where he spoke on a wide range of issues covering the economy, anti-corruption, health, agriculture among others. 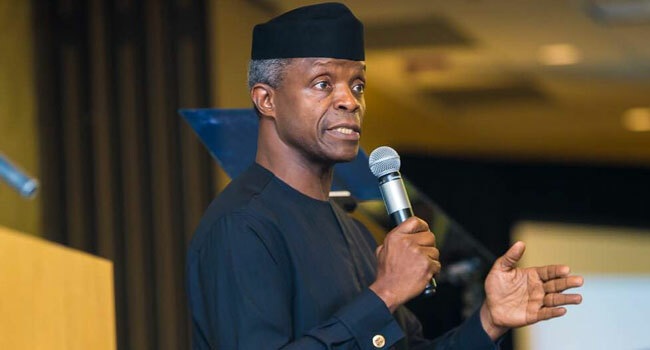 In contrast to the simple geographical restructuring of the country, prudent management of national resources and providing for the people properly, are better ideas for Nigeria’s development challenges, according to Vice President Yemi Osinbajo, SAN. Responding to concerns on how the government is utilizing recovered funds, the Vice President disclosed that the Buhari administration is committed to a transparent use of the funds in providing infrastructure.